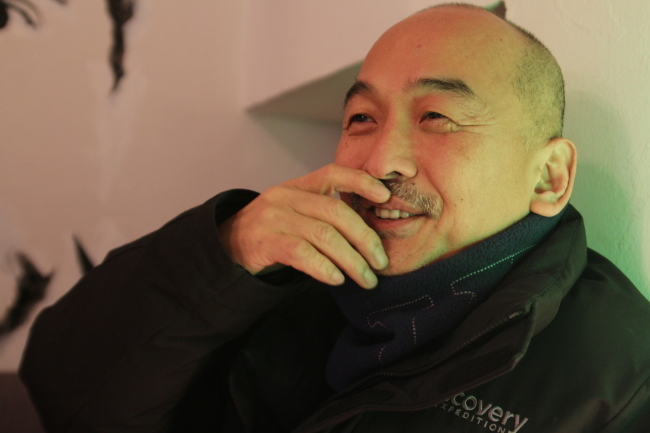 It is safe to say that Lee Joon-ik is one of Korea’s foremost film directors of all time. If one looks closely at his filmography, the 57-year-old director also had a number of misses. But this led Lee to learn and experience the business side of movies -- content acquisition, distribution, advertising and budget financing before the release of his second film “Once Upon a Time in a Battlefield” in 2003, a comedy-action period movie about a battle between Baekje and Silla kingdoms in the 7th century. Not only did he horn the craft of visual storytelling during the 10 years away from the movie set, but also learned how to become a fiscally-responsible director. His 10th movie “Dong-ju” -- a biographical film about Yun Dong-ju, a Korean poet who resisted the Japanese during the colonization period through his poems – was made on an ultralow budget of 500 million won ($418,000). “Dong-ju” will hit theatres on Feb. 18. “There are a lot of commercial risks when it comes to making biographical films because they can easily fail at the box office. We calculated and came up with a budget that can both make the movie a financial success and not hurt the image and reputation of Yun,” Lee said at a cafe in Buam-dong, Seoul last Saturday. Between 1993-2003 when he traveled to film festivals and conventions such as the Cannes film festival to purchase foreign films for domestic distribution, he would often run into people who had zero knowledge of Korea. While they were very familiar with Chinese and Japanese cultures, Lee was often asked whether he was from South or North Korea when he said he was a Korean during business meetings. “I wanted to show more about Korea -- its culture and tradition, and started thinking what would be the best way to do that. I certainly couldn’t show Korea by writing a book (in English). I came to the conclusion that movies were the best medium to show the world about Korea’s culture, history and tradition,” he said. Then came the hit “Once Upon a Time in a Battlefield,” which earned some 3 million ticket sales, and “King and the Clown,” one of the highest grossing films of all time earning more than 10 million tickets sales in 2005. “King and the Clown” depicts the lives of clowns during the reign of Yeonsangun, a late 15th century Joseon tyrant. With vivid color cinematography and realistic acting in a fictional setting with historical characters, “King and the Clown” spurred productions of period films. “Before that film, there weren’t really any period movies. I was intrigued by the story told from the perspective of the clowns, and thought that the Korean clowns could generate more (entertaining) value than French clown Pierrot or Shakespeare’s clowns,” he said. In 2014, Lee directed “The Throne (Sado)” starring Song Kang-ho as King Yeongjo and Yoo Ah-in as Crown Prince Sado based on the well-known tragic true story of the king condemning his son Sado to death in a rice chest. This story between the father and son has been told in films and TV dramas over the years as one of Korea’s favorite historic tales. But the director asked himself whether he really knew King Yeongjo and his son. He realized that he didn’t, and that is why he took on the project. The film received rave reviews for its flow and structure using intercuts between King Yeongjo and Sado’s stories involving their family members going through hardships and conflicts that ultimately result in Sado being locked up in a rice chest for a week. "I asked, ‘Do I truly know this story?’ My answer was no. People say they know, but the right word I found is that they are ‘familiar’ with the story, and do not really know the details of it." With realistic depiction of the king and his son in Joseon Dynasty costumes and sets, the film was submitted for considerations for Best Foreign Language Film at the 88th Academy Awards. It did not make it into the final list of nominations, but “The Throne” received five awards at the 36th Blue Dragon Film Awards, including Best Actor for Yoo, Best Cinematography and Best Music. Whenever Lee finishes making movies, he said he “automatically deletes any files and memories of previous pictures” he worked on so that he can focus all of his energy on his next project. Having finished biographical film “Dong-ju,” Lee is currently planning a drama that has not been tackled by any director. “I am foremost a director with a specific job to do like any other jobs. But the difference is that I get to have a lot of fun in a collaborative environment where I work with other professionals to bring out the best in all of us. My life, my job is like starting a venture,” Lee said. This is the second article in a series that explores the driving forces behind hallyu and the global rise of Korean pop culture. --Ed.